The Big Wedding arrives in theaters this Friday, but that needn’t incur an automatic dismissal of cinematic nuptials. As a matter of fact, it goes without saying that a number of great (or even good) films have used this life-affirming bond as a setpiece for their action — maybe even a personal favorite or two. Not all were created equal, though, and, for the purpose of this list, we’ve divided the proceedings into the ceremonies you’d (probably) wish to attend and those which, given the circumstances, would be best to steer clear of. While stellar titles can be found on either side, they clearly made the list for a number of very different reasons. Check out our rundown below. Spoilers for a 46-year-old movie incoming, but the final scene in this William Wyler classic is one of the most emotional endings put to screen. While dealing with the struggles in a post-war environment, Homer and Wilma finally tie the knot, as Wyler focuses in on the budding relationship of Fred and Peggy. To kick this list off, it’s a pleasant, fairly standard ceremony and a perfect finale. – Jordan R.
A remake of Spencer Tracy’s original, Steve Martin and director Charles Shyer join forces and find equal parts comedy and drama in this surprisingly effective early-90s wedding film. 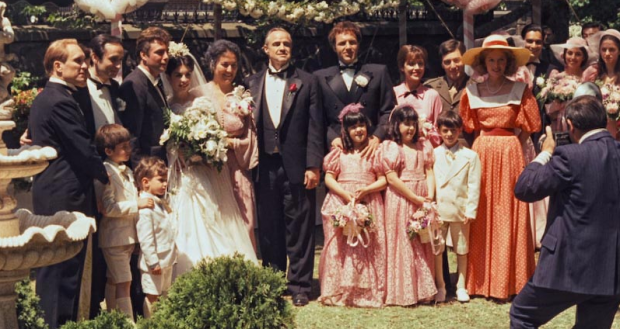 Martin’s rarely been better, and when the wedding finally kicks off in the third act, it’s about as beautiful and romantic as weddings can get, warts and all. 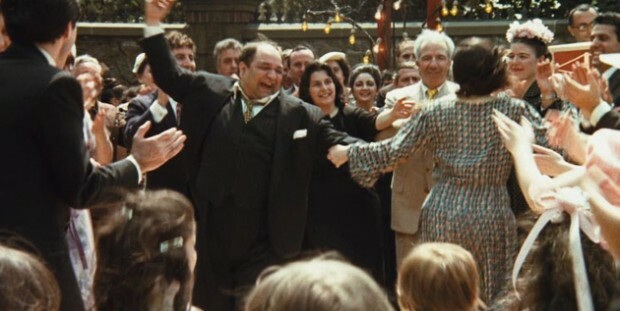 – Dan M.
Regardless of whatever goes on behind closed doors, the Corleone family’s big event has more than enough food, dancing, and music (a few songs courtesy of Mr. Johnny Fontane) to occupy time. (How about that location, too!) The only real caveat is the bride’s brother, Sonny, who’s either smashing cameras or fornicating with a bridesmaid — odds say you wouldn’t want to be on the receiving end of either. If you don’t pay attention to a certain sister of the title character while attending this wedding, it looks to be about the most fun one could have at a ceremony. With a Indian theme (although it’s never clear why the families went with it), there’s a live band, dancing, saris, a traditional elephant cake topper and more, Demme captures the exuberant night to great effect. As long as one can skip the rehearsal dinner and anything inside the house, you’ll want to RSVP to party it up with the groom himself, TV on the Radio‘s Tunde Adebimpe. – Jordan R.
We cannot suggest with any certainty how much entertainment value comes from the wedding itself and, on the other hand, what stems from two uninvited guests, but so be it. A ceremony that succeeds despite one-half of the married set, it also contains the most debauchery of any title on the list, and nothing says you can’t join in. Play your cards right with the father and a full weekend is in store.